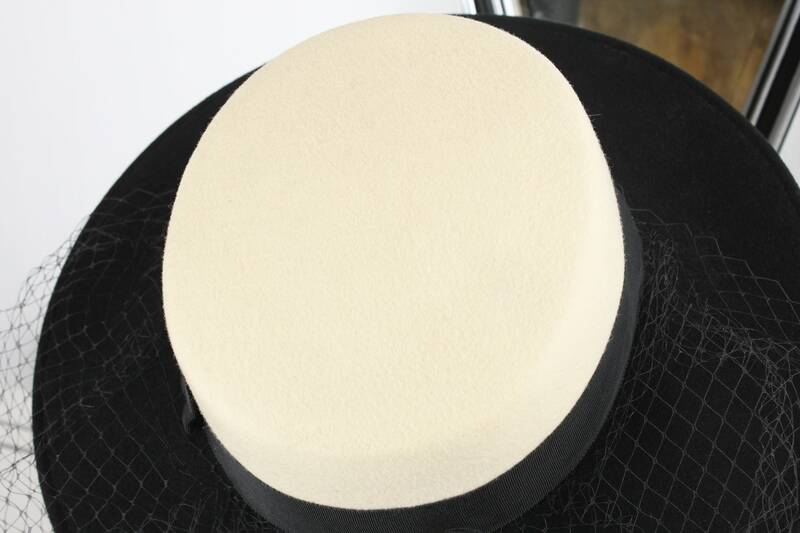 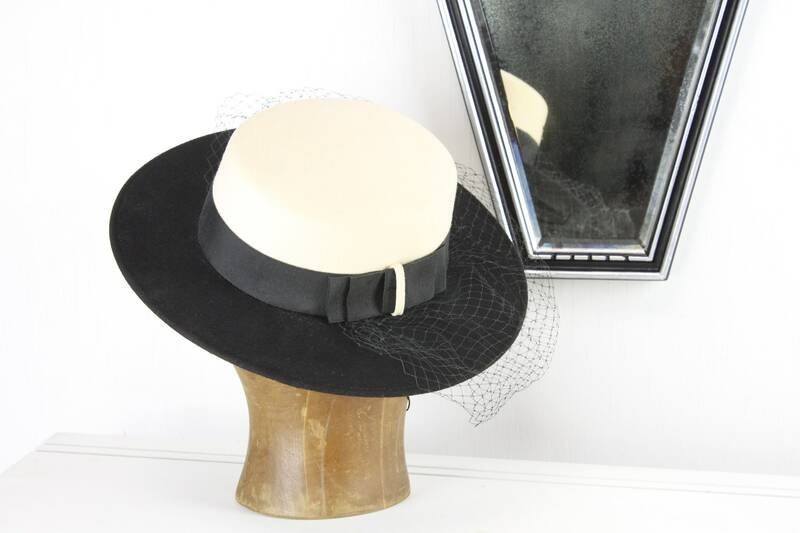 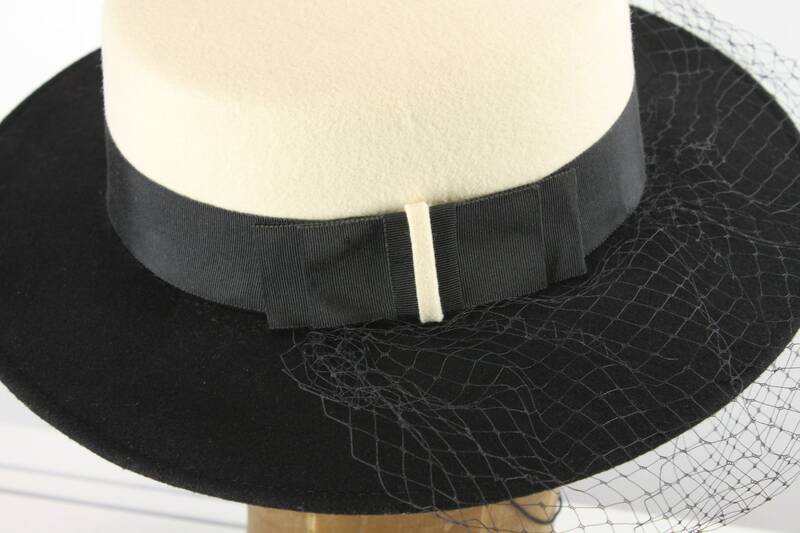 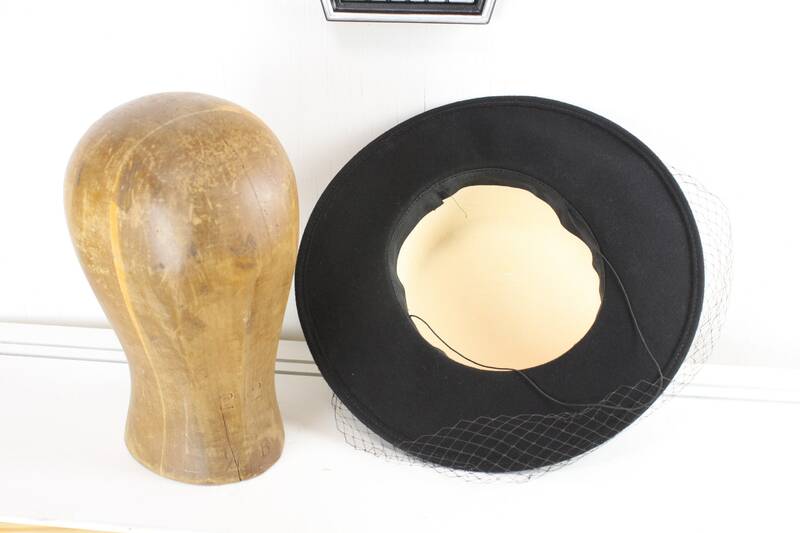 This dark and mysterious estate-fresh, Black & white felt Fedora comes from a stunning and well-loved collection! 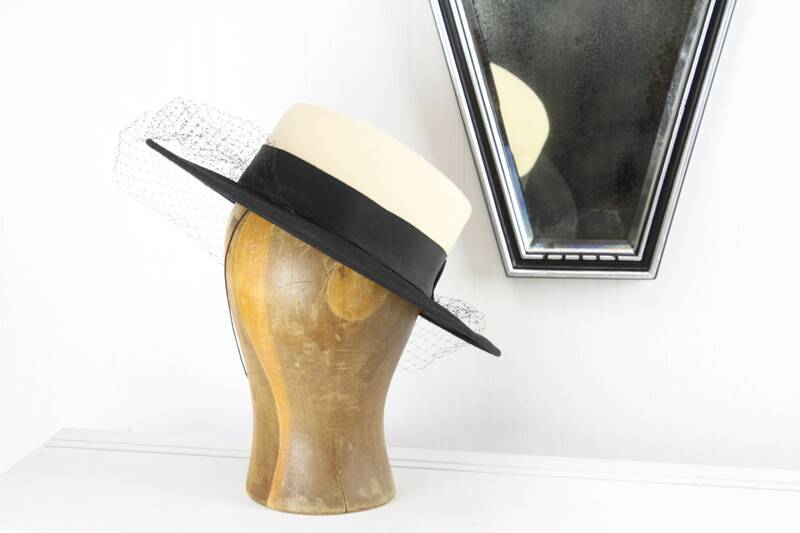 Featuring a distinctly Art Deco design - this fedora features a playful demure veil offset by commanding lines and stark contrast! 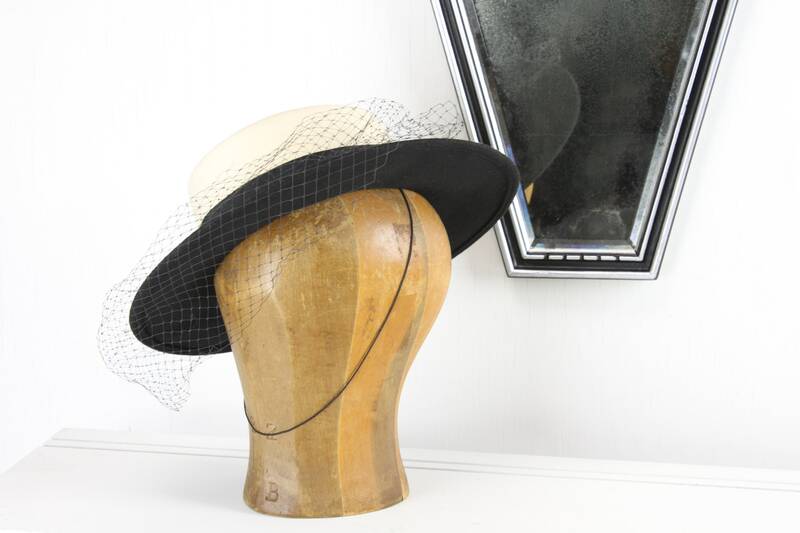 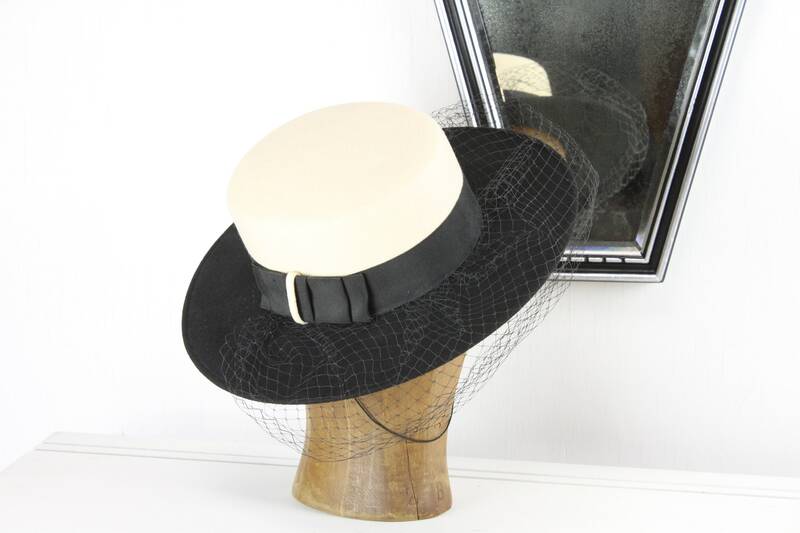 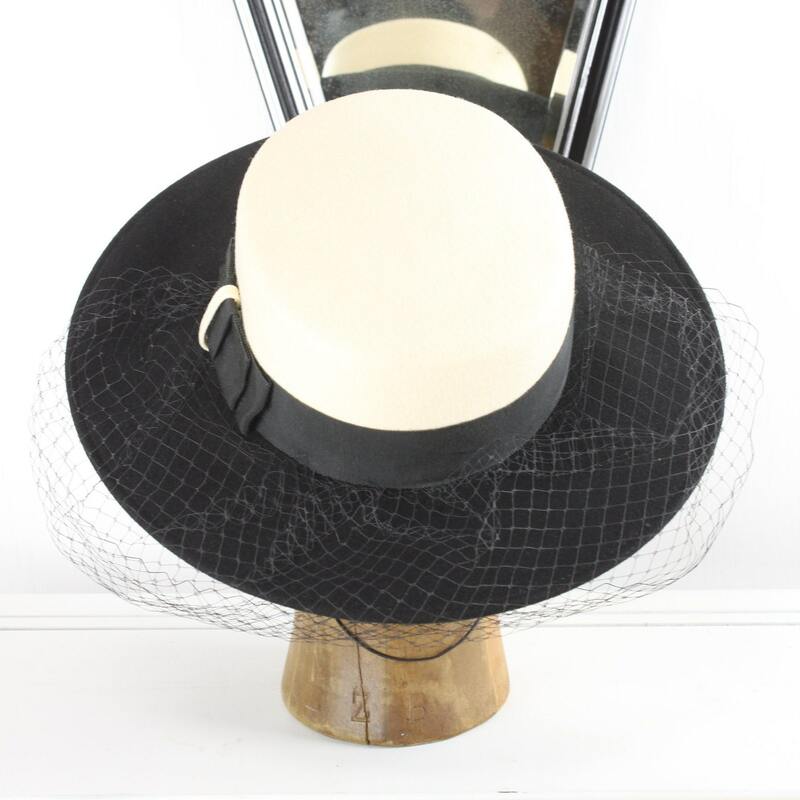 This hat would be right at home in any noir novel; As well as Cruella de Vil's closet! 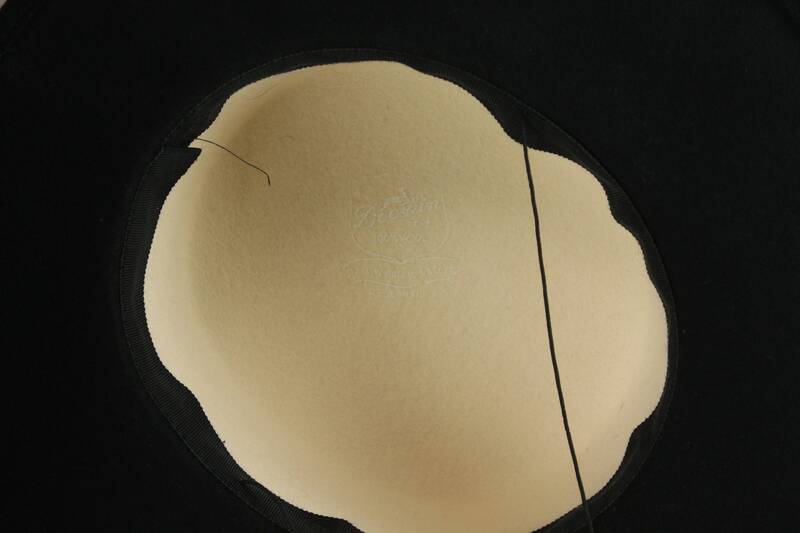 - Overall size: 12.5" x 12.5" x 3.5"